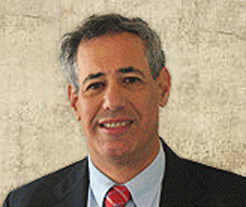 Larry Friedman is a leader in the New Jersey elder law and special needs bar, and has been practicing elder law, developmental disabilities, Medicaid, Medicare, special needs, wills, trusts, estates, tax, and real estate law for over thirty years. Larry previously chaired the New Jersey State Bar Association’s Elder and Disability Law Section and began its annual Elder Law Retreat, a two-day educational symposium for elder law attorneys that continues to this day. He also started and designs and moderates the New Jersey Institute for Continuing Legal Education’s Sophisticated Elder Law seminar, the state’s first annual elder law program, which reached its twentieth consecutive year in 2015. Larry was awarded the NJSBA’s Distinguished Legislative Service Award twice– first for drafting a law that made it easier to use special needs trusts in New Jersey and in 2016 for his work on the Uniform Trust Code in New Jersey. Larry is a frequent speaker on elder law, special needs, Medicaid and other disability benefits and trusts and estates issues. He has served as an expert witness on these topics in medical malpractice and other lawsuits. He regularly presents programs to educate other lawyers on issues that affect seniors, people with disabilities, and their families. Upcoming and recent programs can be found at our Events page. When he’s not helping clients navigate the complexities of Medicaid and special needs, Larry enjoys cycling, swimming, rock music, the New Jersey Symphony Orchestra, and the New York Rangers (sorry Devils fans).